I found these sweet (sorry, that will be the last time I use that word...) little treats while perusing my cookbook collection. Being 17 weeks pregnant with twins has already got me sitting down a bit more and I take the wonderful time to read, usually cookbooks... (although I did find an AWESOMESAUCE book on having twins: Ready or Not, Here We Come! by Elizabeth Lyons - I recommend it to anyone having twins.) This recipe was found in my copy of Slim & Scrumptious by Joy Bauer. I am infamous for owning cookbooks that I never cook from - this one being no exception. 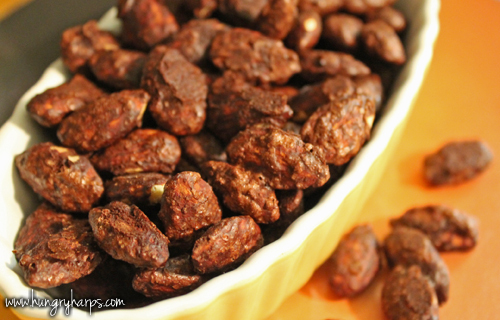 This was a good recipe to start with since it came out great - according to all the Hungry Harps! 1. Heat oven to 275. 2. 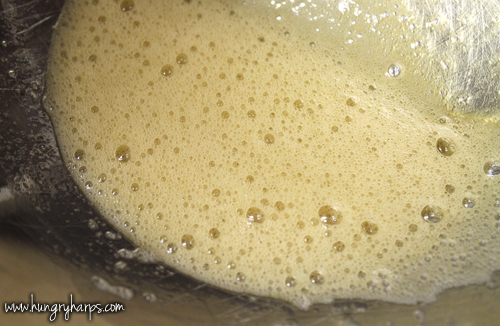 Whisk together egg white and vanilla extract until frothy. 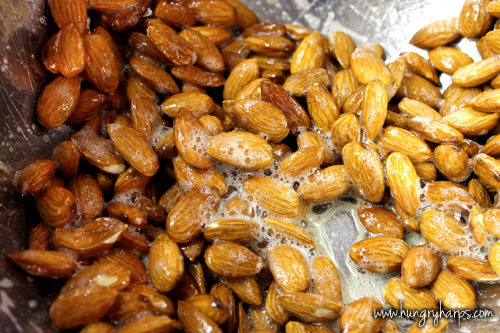 Add almonds, ensuring all almonds get completely coated with egg white mixture. 3. 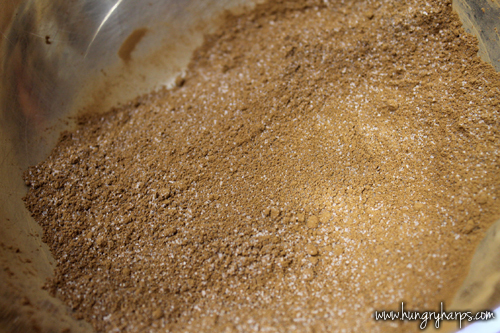 Mix together sugar, cocoa and salt. 4. 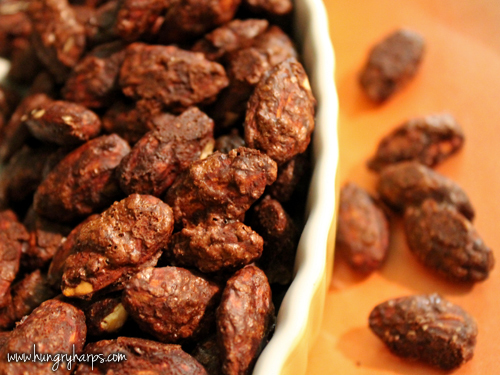 Combine almonds and cocoa mixture, completely coating almonds until no dry powder is left. 5. 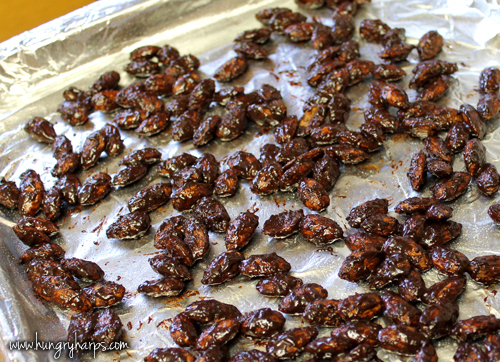 In a single layer, place almonds on greased baking sheet. 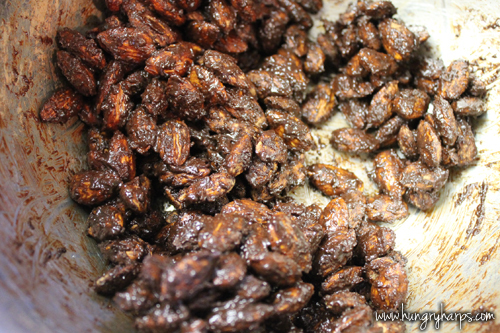 Bake for 25 minutes, remove from oven and slip almonds over. A spatula works great for this! 6. Let cool completely and enjoy! Some pieces may need to be broken apart by hand.